Quote PutneySW15.com when you book your table. 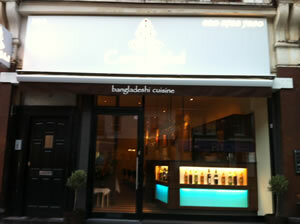 The Curry Mahal previously known as Bangladesh Curry Mahal, located at 294 Upper Richmond Road opposite Sainsbury’s Local re-opened on Thursday 16th February after a brief renovation and coming up with mouth watering Indian & Bangladesh Dishes. Jahir Ahmed, One of the Managing Director of Curry Mahal said: "Curry Mahal is one of the oldest Indian restaurants in London, and since we opened in 1971 we have continually strived to offer our customers a unique dining experience; from our diverse range of dishes to the premium quality, exceptionally priced wines. For over forty years the key driving force for the restaurant success has been in providing a personal and friendly service to its patrons. The core of the Curry Mahal lies with its Head Chef and we are happy to announce that we have Himmat Singh on board to carry on the strong traditions. With over twenty years of experience, Himmat started his career in India working at some of India’s greatest restaurants. He finally took the lead role in the prestigious Grand Oberoi 5 Star Hotel in India. It was there that his creative flair was spotted and soon he became a magnet for the discerning patrons of real Indian cuisine. Himmat was the star attraction. After working in India for over ten years, in 2000, Himmat decided to broaden his horizons by bringing his creativity to Britain. Initially Himmat worked for a select number of well-known Indian restaurants, including the Cinnamon club, to discover the nuances of the British taste. 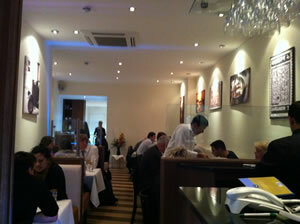 The Curry Mahal, in somewhat of a coup, persuaded Himmat to join its team as Head Chef. We look forward to bringing our patrons traditional Bangladeshi cuisine with the creativity that Himmat offers.